All around the globe today, issues about development keep changing by the passing of each day. It is therefore important for nations to study the dynamics and make the necessary decisions and changes that will meet the needs of their people as far as their developmental requirements are concerned. 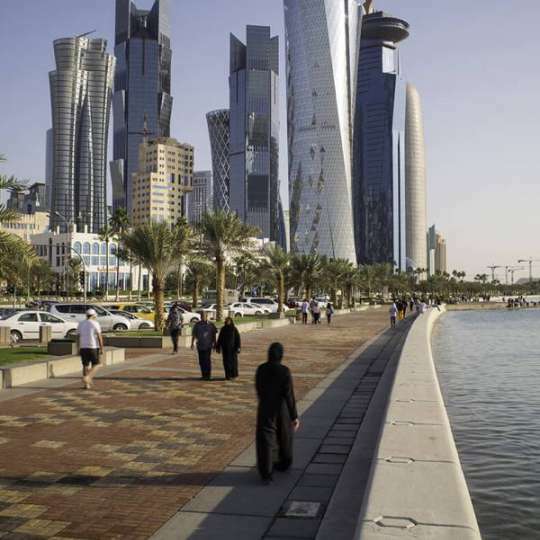 The 2018 forum was held in Doha, Qatar’s national capital, and attended by experts – academia, world business community and policy makers. The forum, the 18th in the series, focussed on four essential sub-themes – Security, Peace and Mediation, Economic Development, Trends and Transitions. “Regional Alliances for example, are still essential since we share common concerns and interests”, Sheik Mohammed bin Abdulrahman Al Thani, Qatar’s Deputy Prime Minister and Minister of Foreign Affairs, told the meeting. “These alliances need to be revisited not just by the big countries and superpowers but also by member states of the United Nations (UN) as well as the various regional blocks”, to foster peaceful co-existence, he added. “Security is at the heart of the UN system”, she said, “however the international community has failed to abide by the governing principles of the world body”, she added, and called for the commitment of member states to make the rules work. “We cannot achieve much if we put aside the peace and mediation efforts needed to address the pressing issues affecting the global community, according to Madam Espinosa. She applauded the organising team for considering the interest of the youth in this year’s agenda by holding a youth forum ahead of the main event.